Rip´s Tavern in Ladd received one of three Midwest Living Magazine´s top restaurant awards at the Illinois Governors Conference on Tourism held recently in Rosemont. Julie Johnson, executive director of Ottawa Visitor´s Center, accepted the honor. “We were very surprised and proud to accept on their behalf. We had no idea that Rip´s had been chosen out of 860 restaurants to receive one of these awards.” Rip´s received its original mention in the fall 2010 edition of the magazine, which publishes more than 3,000 “bests” and winners are chosen from readers´ comments and blogs. “With only three “Best Food Town” awards, this is quite an accomplishment,” Johnson said. A presentation ceremony has been scheduled at 3 p.m. May 11 at Rip´s. Present will be Ottawa´s Mayor Robert Eschbach along with Johnson to present the “official plate” to owners Bill and Dave Rounds. Also present will be members of the village of Ladd, Kelly Klobucher, executive director of the Hegeler-Carus Mansion, LaSalle and current chairman of the Heritage Corridor Convention and Visitors Bureau. `Best of the Midwest~Best Food Town´ Award.” 3 May 2011. Ottawa Visitors Center. Print. 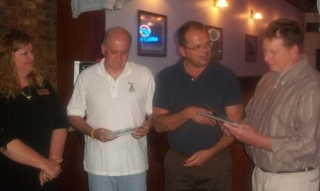 Brothers Bill (from left) and Dave Rounds, owners of Rip´s Chicken in Ladd, smile inside the restaurant with an award they received. Rip´s was named a top restaurant by Midwest Living Magazine, and was the only Illinois restaurant to receive such an honor this year. Dean Devert of state Rep. Frank Mautino´s (D-Spring Valley) office read a resolution passed by Illinois House of Representatives congratulating the business on its award. Ladd Mayor Mike Grivetti, Ottawa Mayor Robert Eschbach, Kelly Klobucher of the Heritage Corridor Association, and Julie Johnson of Ottawa Visitors Center also congratulated the Rounds brothers. This is at least the third time in five years the magazine has listed Rip´s as a restaurant worth visiting, according to Bill Rounds. 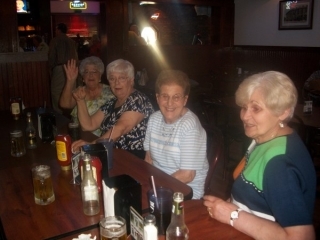 He credited the business´ success to the foundation laid by two previous generations of the family, to the hardworking staff which includes employees over 80 years old, and to the loyal customers. Ryan, Allison. “Renowned Rip´s Recognized Again” News-Tribune [LaSalle, Illinois] 13 May 2011, A6. Print. RESOLVED, That a suitable copy of this resolution be presented to Bill and Dave Rounds, owners of Rip’s Chicken, as a symbol of our esteem and respect. 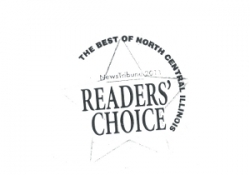 Voted the Illinois Valley’s “Best Fried Chicken” – 20 years in a row!! !